Gerrity's Weekly Ad February 10 - February 16, 2019. Sweet Valentine's Savings! 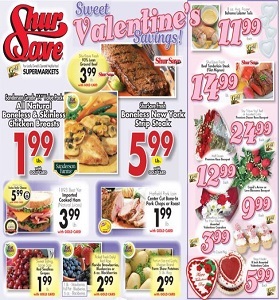 Gerrity’s Weekly Ad February 10 – February 16, 2019. Sweet Valentine’s Savings! -$7.99 Glad Tall Kitchen, Trash, Lawn & Leaf or Recycle Bags; 4/$5 Scotties Facial Tissues.